Durham Ranch is a family-owned business dedicated to becoming a model of the successful ranch operation that will be the hope of all family-owned ranches, where relationships, caring, quality of life and profit are all blended into a rewarding experience for everyone involved. The Flocchini family has been dedicated to sustainable and holistic ranching practices since before those terms were popular. Learn more about how we do what we do. In the 1930’s Armando Flocchini Sr. purchased the Durham Meat Company in San Francisco where he worked as a butcher. 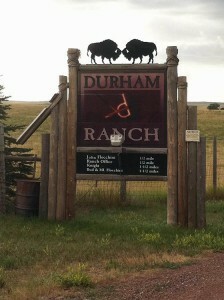 In 1965 he purchased a 65,000 acre bison ranch near Wright, Wyoming and renamed it Durham Ranch. Three generations later, this same ranch is operated by the Flocchini family and remains one the largest bison operations in North America. 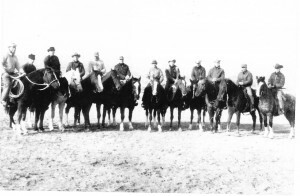 The Durham Ranch name represents far more than a beautiful stretch of land in northeast Wyoming. It represents family. From our grandfather the butcher, to his two sons and their six children and even two great grandchildren who are following in his footsteps, committing to provide the highest quality products and experience to our customers.